The São Paulo School of Advanced Sciences on Electrochemistry, Energy Conversion and Storage took place between 7th-14th December last year at the Instituto de Química, Universidade de São Paulo. A special edition of the institute’s annual School of Electrochemistry, this eight day course combined intensive theoretical and lab-based electrochemistry workshops with conferences on lithium-ion batteries, lithium-air batteries, fuel cells and electrochemical capacitors. 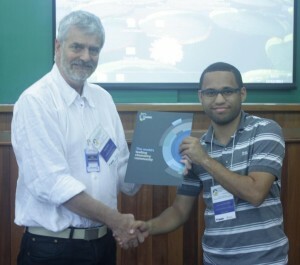 The school was attended by particpants from all over the world, and invited speakers included Edson Ticianelli (IQSC-USP), Bryan McCloskey (IBM Research), Jean-Marie Tarascon (University of Picardie), Peter Hall (University of Sheffield) and Phil Bartlett (University of Southampton). 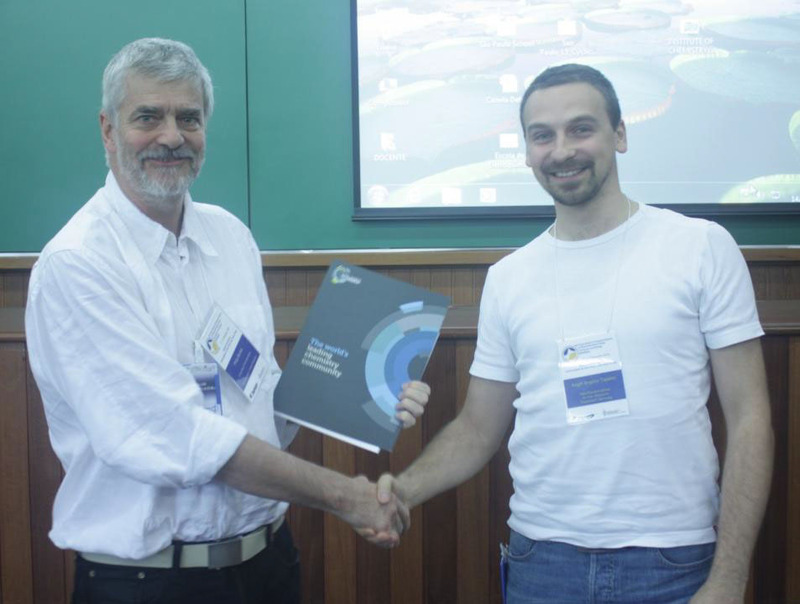 Congratulations to Angel Topalov and Leonardo Vieira da Silva, who were awarded Energy and Environmental Science poster prizes at the student poster session! Faraday Discussion 176: Next-Generation Materials for Energy Chemistry – Oral abstract deadline 3rd February! Submit your abstract by 3rd February 2014 for the opportunity to take an active part in the first Faraday Discussion meeting to take place in Asia, and to present your work alongside a host of distinguished speakers. To mark this meeting, we have made the following articles free to access* for a limited period. These are some of the articles relating to next-generation energy materials that have recently been published in Energy & Environmental Science and Journal of Materials Chemistry A. We hope you enjoy the free content and that you can make it to Next Generation Materials for Energy Chemistry – Faraday Discussion 176! *Free access to individuals is provided through a RSC Publishing personal account. Registration is quick, free and simple.